“Yoga is the martial art of the soul, and the opponent is the strongest you’ve ever faced: your ego.” You may have seen this phrase floating around the Internet lately, I see it regularly on Facebook. It makes sense doesn’t it? 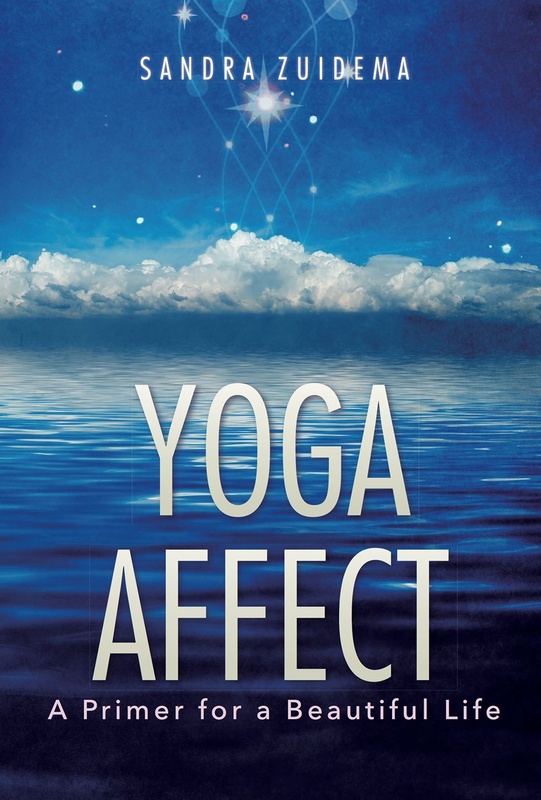 All of our real problems are ego problems and yoga is the best way to fight the ego, right? After all, the ego is the ultimate enemy, the strongest opponent as the catchy graphic clearly shows. Everyone into Warrior I! Let’s kick ego to the curb! Right? When I first read this phrase, my mind caught on two ideas: Martial arts and opponents. What is a martial art? Merriam-Webster says martial art is “any of several arts of combat and self defense (as karate and judo) that are widely practiced as sport.” Martial arts are combat practices. Is yoga a combat practice? Turning to the dictionary again, opponent is “one that takes an opposite position (as in a debate, contest, or conflict).” The entry also notes some synonyms: adversary, antagonist, foe, rival. 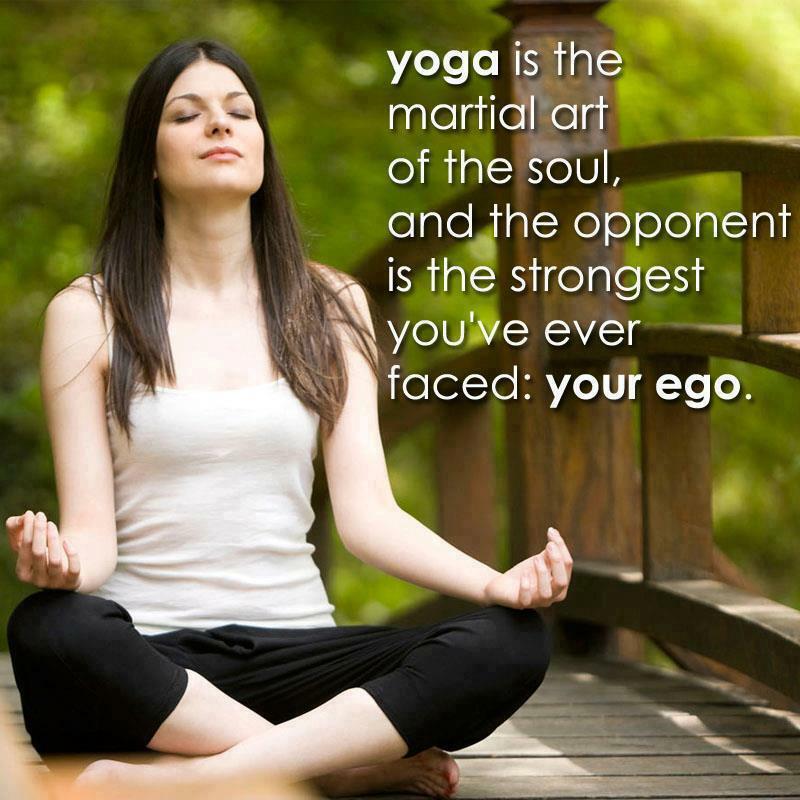 Is yoga a form of combat against a foe and is my foe my ego? Even during my most intense practices on my mat, I have never experienced anything that I would label combat. Seeing yoga as a martial art and my ego as my enemy requires me to wage war on myself. The first Yama is Ahimsa, non-harm, and waging a spiritual civil war on myself seems very harmful. If yoga is not a martial art and if ego is not my enemy, then what are they? Yoga is, quite simply, being quiet enough that I can begin to recognize my Self. Part of that is being quiet enough to realize two vital truths: I am not the opinions that others have about me and I am not the opinions I have about myself. In other words, my ego is not me. 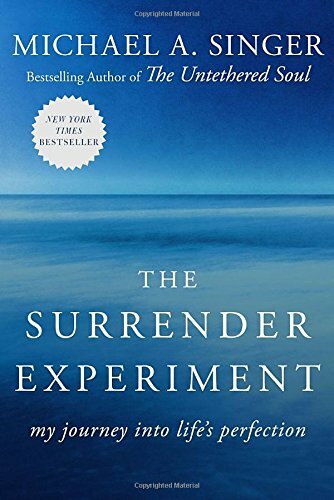 Here’s the twist: I need the ego, without it I cannot experience life. Ego is just a tool, like a hammer. If I use a hammer to hit my own hand, I might blame the hammer even though I was the one doing the swinging. If I am clever, I will realize that the hammer is innocent, it is just a tool that was being misused. The same is true of the ego. We misuse the ego and allow ourselves to become ego driven as we use it to hammer our way through obstacles. It collects bits of this and that, opinions about ourselves, and we believe what it collects. If we are clever, we will realize the ego is innocent, it is just a tool that is being misused.